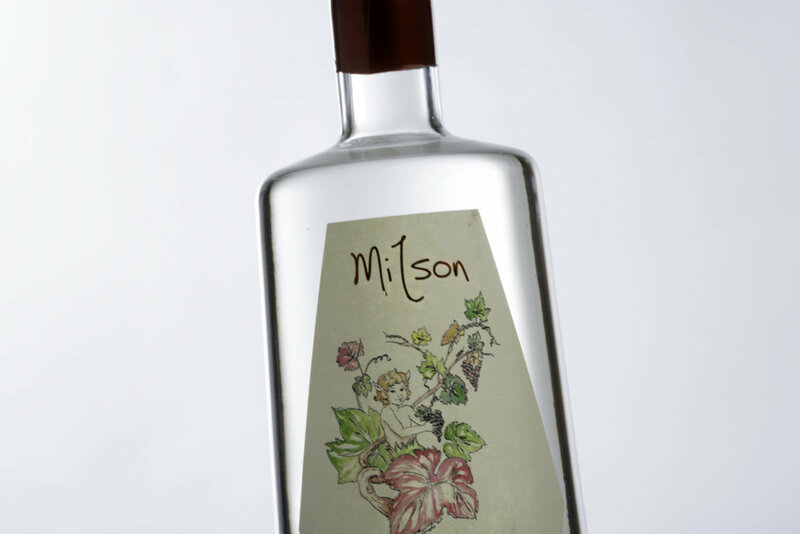 We produce only millesimized grappas, the quantities vary according to the vintage. 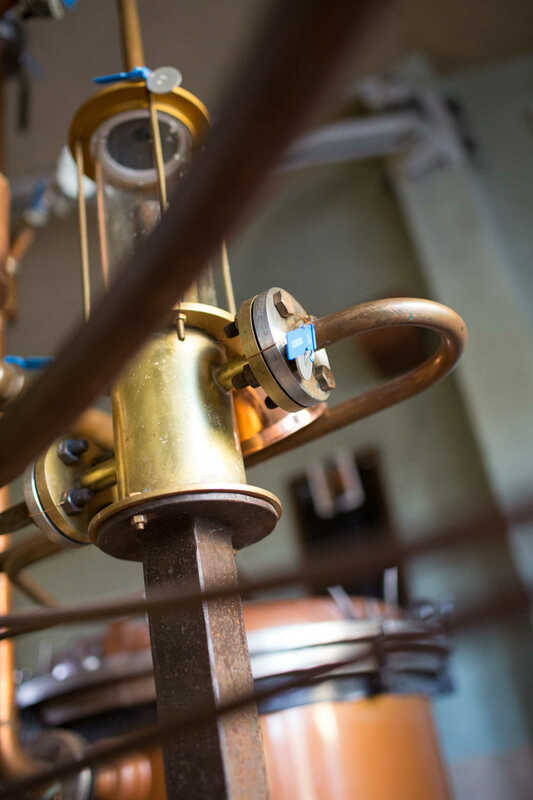 This grappa is obtained from a careful selection of Nebbiolo grape pomace from small producers in the area and hand-crafted with a small piedmontese bain-marie alembic still. The 2010 vintage was produced in 2000 bottles. 45% alcohol. Tasting impressions. It is a young, transparent, clear, colorless distillate. Bouquet of wild strawberries, blackberry and rose hip. In the mouth it is intense, fine, very long, with an almond aftertaste. Alcohol is well worked and integrated. A real "gem" after a meal or, more ideally, to meditate on the day just passed. 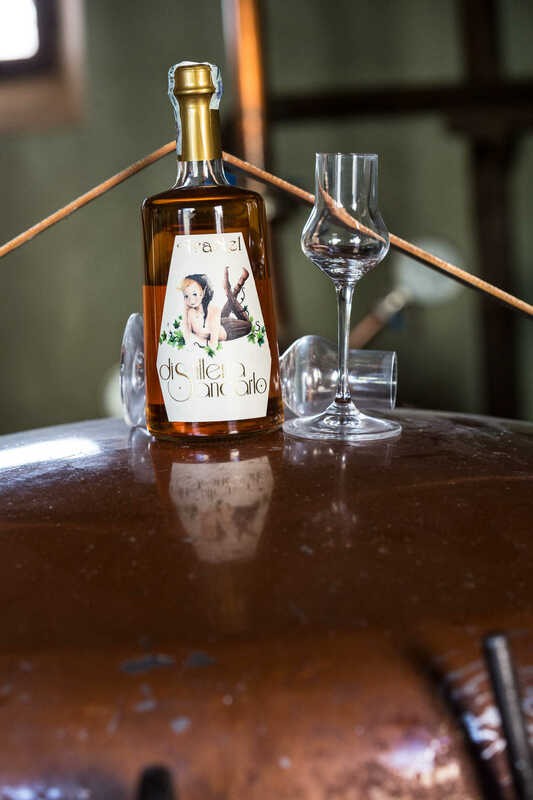 This is a Grappa obtained from a selection of Nebbiolo grape marc, from small producers in the area and hand-crafted and then aged for three years in French oak barrels. 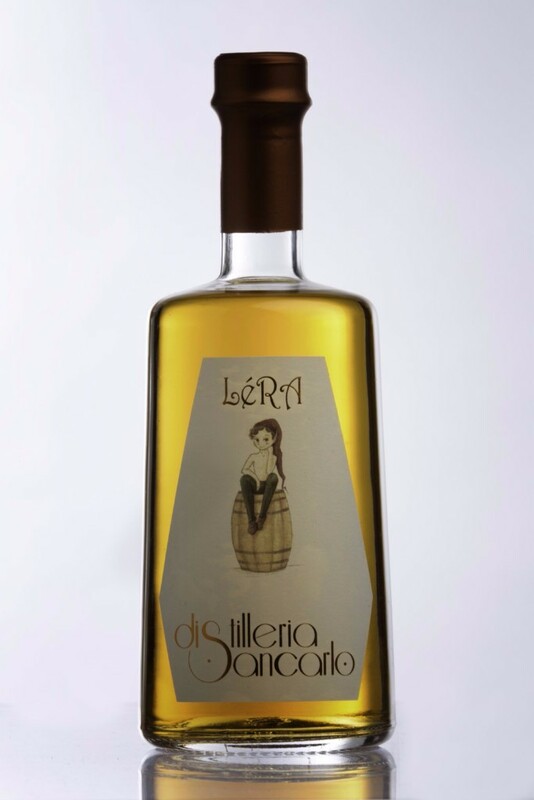 Tasting impressions: It is an amber-colored grappa with a strong personality. Enveloping aromas of raisins with hints of licorice, tobacco, freshly toasted cocoa and blackberry. In the mouth it is intense, very long with coffee aftertaste, liquorice, and then towards the end it feels a sensation of freshly toasted cocoa. Alcohol is well worked and integrated with a strong persistence. A grappa with a strong personality is a real treat after a meal, ideal with an evening accompanied by some chocolate and some good cigar. 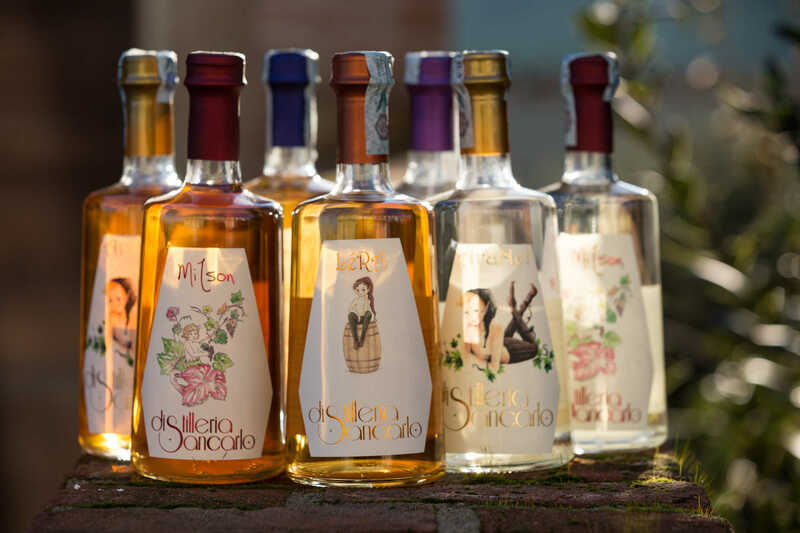 It is a grappa obtained from a selected blend of red grape pomace (Nebbiolo, Dolcetto, Barbera) most important of Langa, Roero and Monferrato coming from the producers of the area. Cl50 42% alcohol. Tasting impressions. 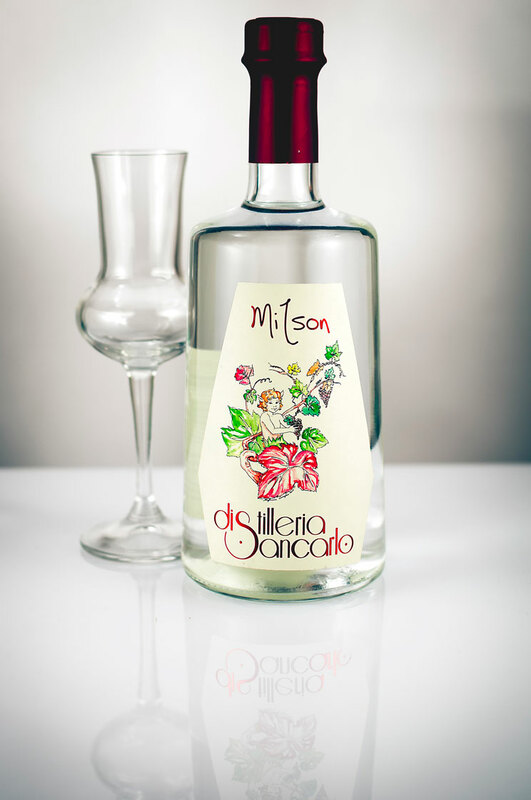 It is a young, transparent, limpid, colorless grappa. The scent is intense and persistent with a still glass, then expresses itself on delicate floral shades of rose and wild berries. The taste is soft, round, fine, with a good persistence. The alcohol component is well integrated. A distillate that easily puts in a good mood! 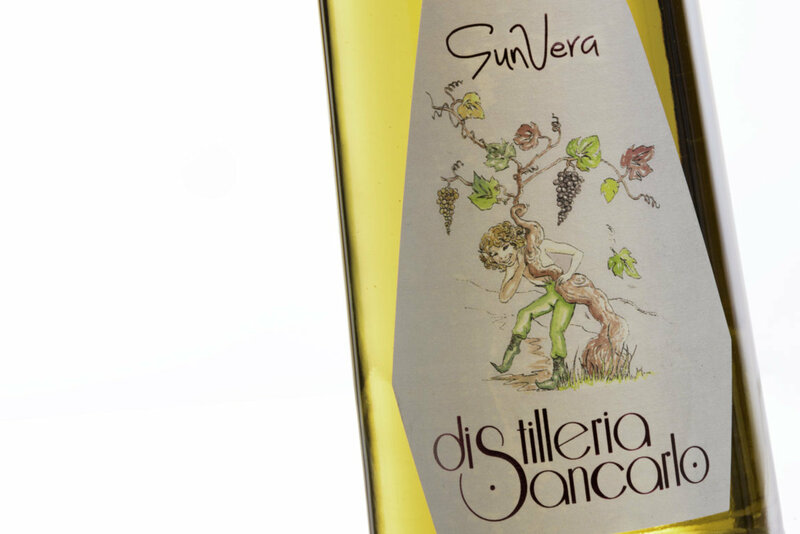 It is a grappa obtained from a selected blend of the three major red grape varieties of Langa Roero Monferrato (Nebbiolo, Dolcetto, Barbera) from small producers in the area. Tasting impressions: It is an amber-colored grappa with light blurs of reddish. of tobacco, small berries and a slight hint of blackberries and strawberries. with light hints of rose hip. A distillate with rare tastes and scents, just a few bottles per year, not always available. with a pleasant fruity aftertaste. A grappa for refined palates. 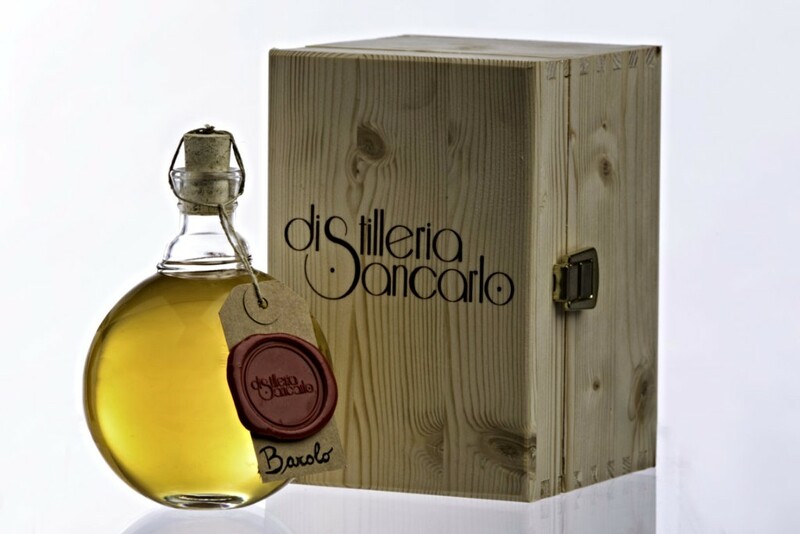 "AraNel" distilled grappa from Moscato Bianco, but in this case refined in oak barrels. It immediately strikes the color, a beautiful amber yellow. On the nose we can appreciate small strokes of white chocolate, coffee, almond, tobacco and hints of smoke. On the palate it is complex, spicy, with notes of apricot and hazelnut. Very long and satisfying, soft, without skidding. Perfectly integrated alcohol. To be preferred for those who are fond of the "grappa barricata". Grappa obtained from the distillation of pomace of Barolo selected from small producers of the 11 municipalities of the Barolo area. Made to refine in French oak barrels. Grappa of Barolo aged in French oak. Selection of the Barolo Grappa by the aged grandfather and then aerated for a further year before bottling it.